Neddy's Lookout is glamping with style. 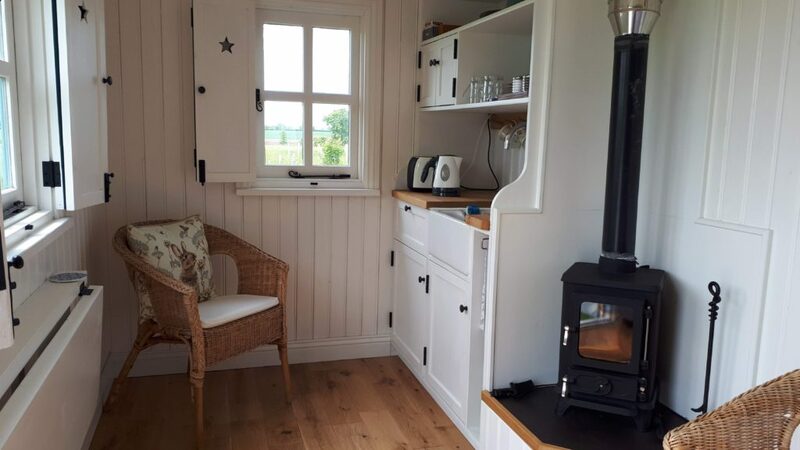 Built for two, the hut has a comfy double bed, a log burner for the colder nights, and its own little kitchen with sink, fridge, microwave, kettle and toaster. It looks out over the field named 'Neddy' (no donkeys! Why it's called Neddy is lost in the mists of time, but perhaps there was a donkey at one stage!). Outside, it is equipped with a BBQ and firepit, as well as two Adirondack loungers and a picnic table. All tools for the BBQ are provided, as is the initial load of fuel for the BBQ and log burner. The hut comes equipped with all the crockery, glassware, cutlery and tools you may need. It also has a radio, which can also act as a Bluetooth speaker. Inside, the atmosphere is created by Edison light bulbs, bakelite switches and wood panelled walls. Insulated by sheep's wool, the hut is cool in summer and warm in winter. It is situated on the west of a small spinney of trees, meaning it is sheltered from the morning sun, but enjoys the afternoon rays and the evening sunset. 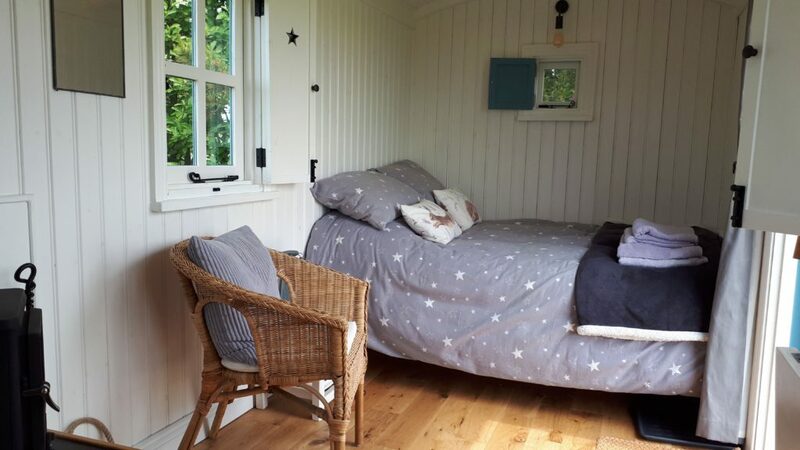 The toilet and shower block is a short walk away - through the woods, decorated with lanterns, fairy lights and bunting. 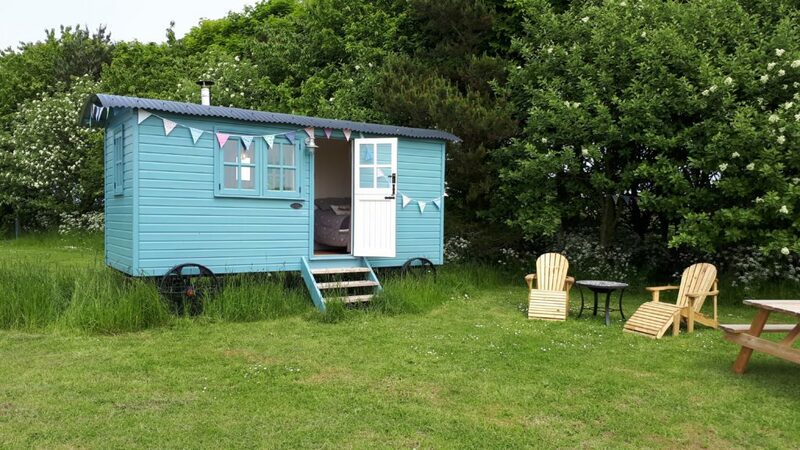 The hut is just round the corner from our alpacas, as well as being close to walks that connect to the disused railway line. It's a peaceful place to stay - no wifi! Although if you really miss the connection to the real world, there is free wifi available in the farm yard. Price: £60 a night, with two night minimum bookings.